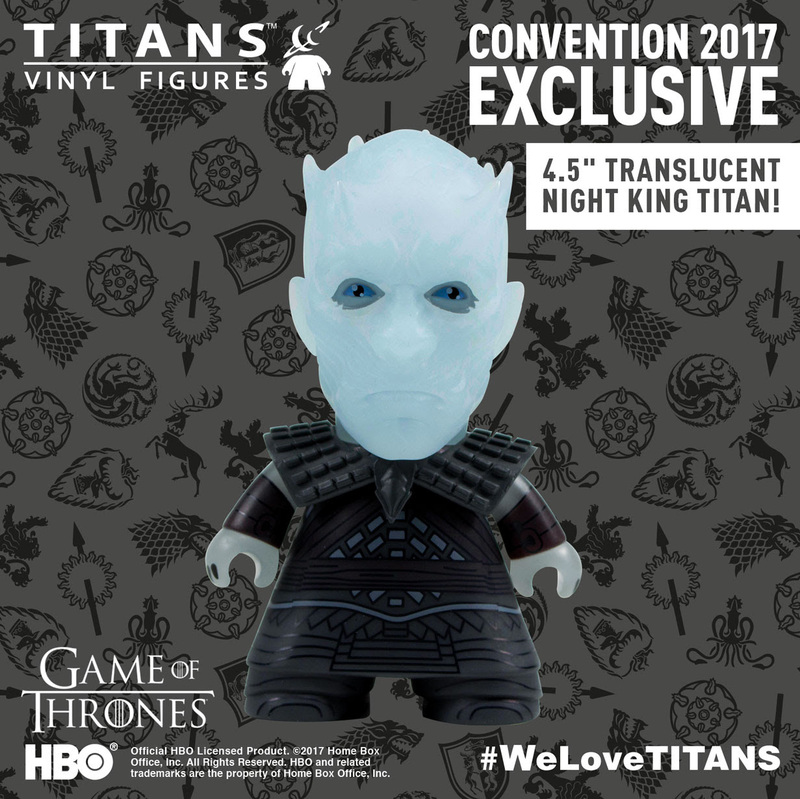 Just Announced: SDCC 2017 TITANS Vinyl Figures! SDCC 2017 TITANS Vinyl Figures! 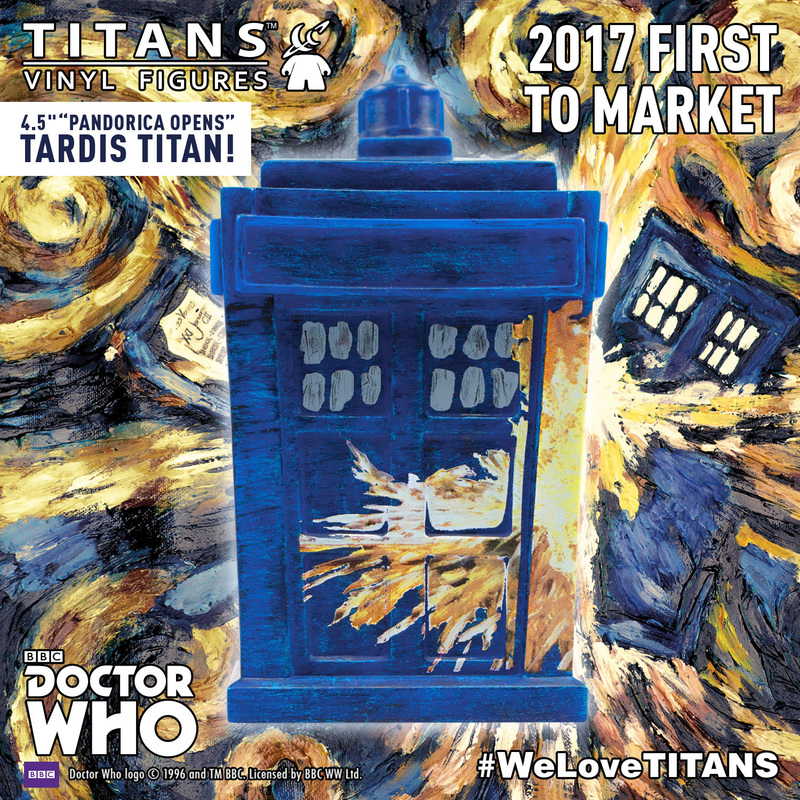 First-to-the-Market at SDCC 2017 are two new 4.5” window-boxed Doctor Who TITANS vinyl collectibles: 4.5” “Pandorica Opens” TARDIS variant and 4.5” “Closing Time” 11th Doctor variant. From the penultimate episode of series five The Pandorica Opens, this 4.5″ TARDIS is decorated in the style of Vincent van Gogh’s prophetic painting of the TARDIS’s fate. This 11th Doctor 4.5″ window-boxed variant is styled after his brief foray as a toy department sales assistant from the series six episode Closing Time. Both TITANS are 4.5” and both are individually window-boxed. 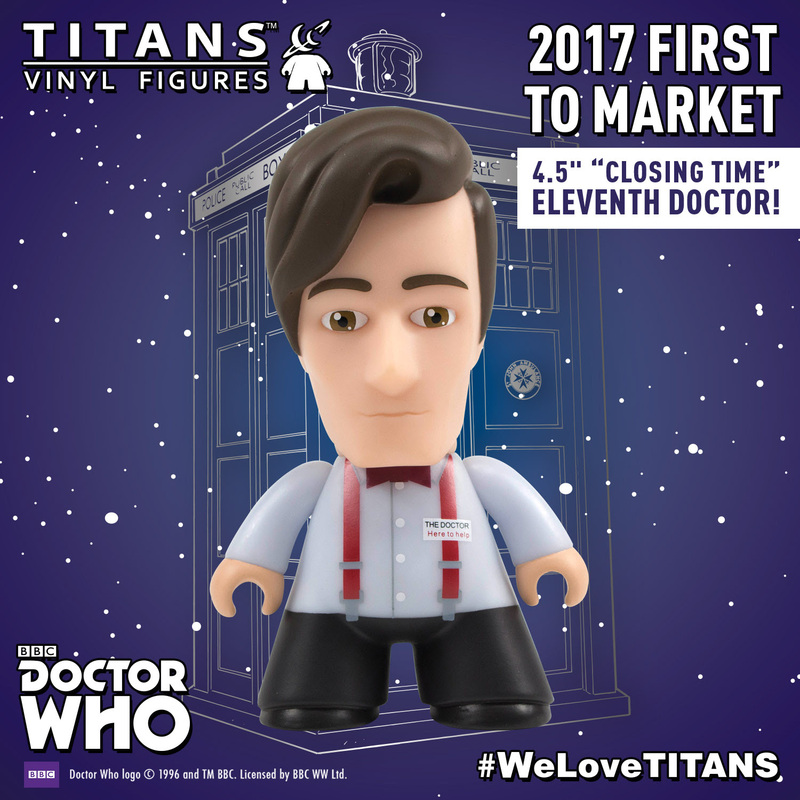 Doctor Who TITANS: 4.5” 11th Doctor “Closing Time” TITAN first-to-market window-boxed vinyl figure. Doctor Who TITANS: 4.5” “Pandorica Opens” TARDIS TITAN first-to-market window-boxed vinyl figure. 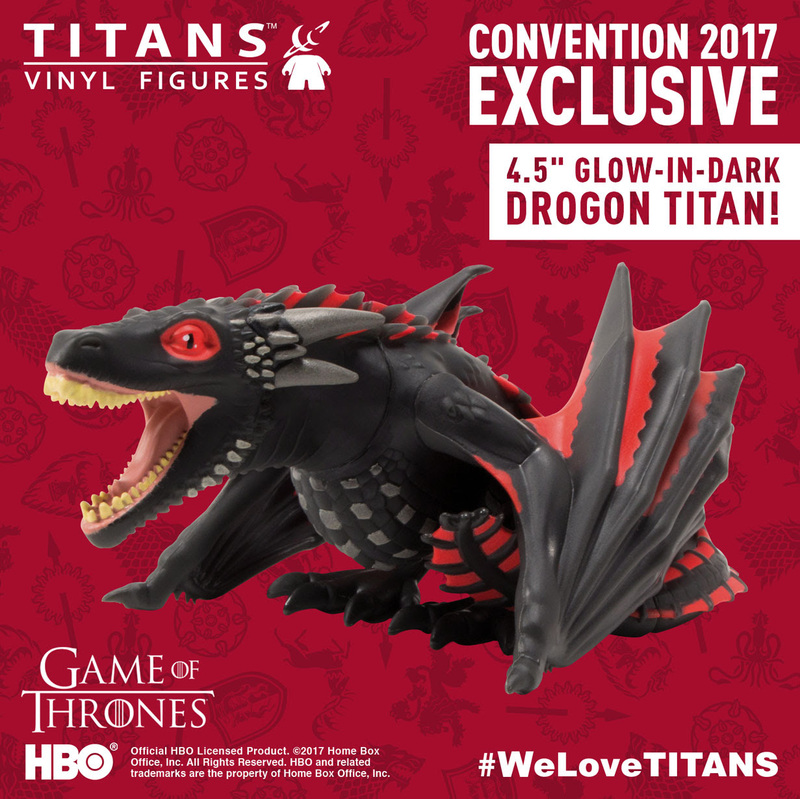 Game Of Thrones TITANS: Exclusive 4.5″ Glow In The Dark Drogon TITANS window boxed vinyl figure. Cartoon Network TITANS: The “Cartoon Cartoon” Collection: Exclusive 4.5” Tuxedo Steven Universe TITANS window-boxed vinyl figure. 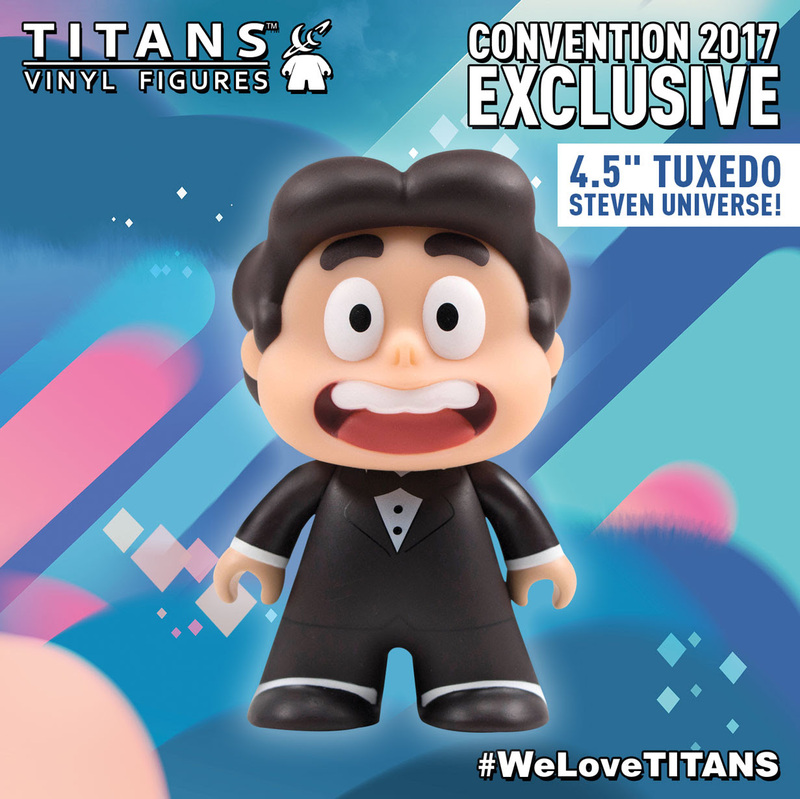 Titan Entertainment are beside ourselves with excitement to bring you an EXCLUSIVE 4.5” Steven Universe Tuxedo TITAN vinyl collectible available at SDCC 2017! Based on the character from the Emmy nominated hit series from Cartoon network. Our upbeat cartoon hero Steven Universe is smartly dressed in a tuxedo, as seen the show’s colorful song & dance number “Mr. Greg”!This exclusive 4.5” TITAN comes hots on the heels of our brand-new second wave of Cartoon Network TITANS: The Cartoon! Cartoon! Collection (3” blind-boxed TITANS vinyl figures featuring Greg, Wirt & Beatrice from Over the Garden Wall; Ed, Edd and Eddy and many others)! Cartoon Network TITANS: The “Cartoon Cartoon” Collection: Exclusive 3″ Pajama Steven Universe TITANS vinyl figure. 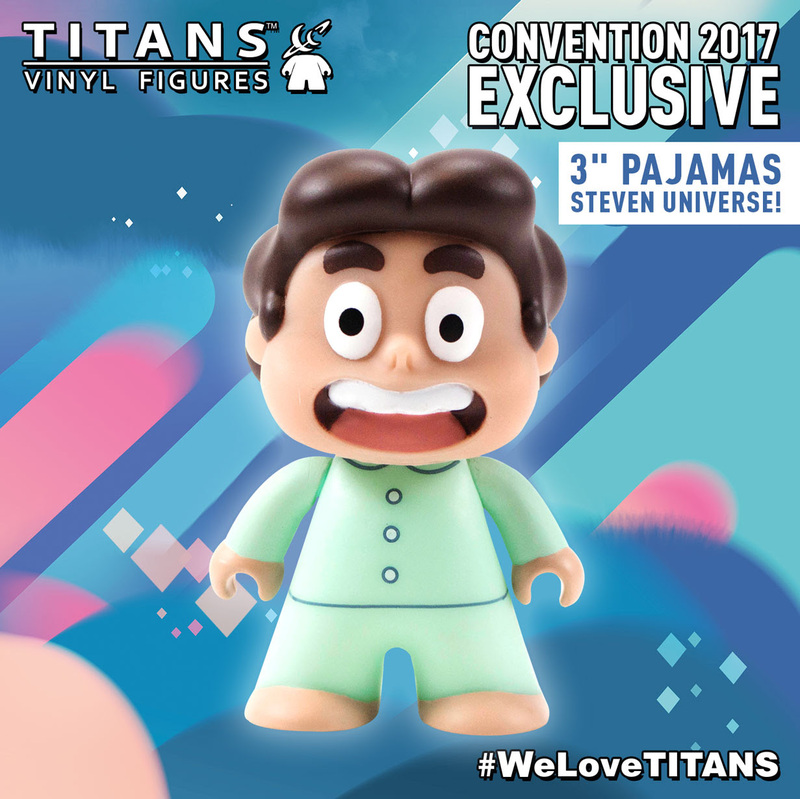 Titan Entertainment are over the moon to bring you an EXCLUSIVE 3” Steven Universe Pajama TITAN vinyl collectible available at SDCC 2017! Based on the character from the Emmy nominated hit series from Cartoon network. Our affable cartoon hero Steven Universe is dressed in his favourite PJs (while he’s on his downtime away from saving Beach City with his Crystal Gems). This exclusive TITAN variant comes hot on the heels of our brand-new second wave of Cartoon Network TITANS: The Cartoon! Cartoon! Collection (3” blind-boxed TITANS vinyl figures featuring Greg, Wirt & Beatrice from Over the Garden Wall; Ed, Edd and Eddy and many others)!